Your Craft Projects, are meant to be shared. Craft Projects don't have to take a Backseat just because you happen to be a Dollhouse Enthusiast. Dollhouse Creation is closely akin to Crafting in any shape or form you wish to imagine it. Any crafters out there know what I'm talking about. When a crafter sees a Doll House they get ideas of what can be done... It's just a natural turn of events.... Isn't it? Below list your mini projects in as much or little detail as desired. You do not have to signup for anything to do so. Simply share the craft you are excited about in the box provided. Be adventurous and submit below. Find our submission guidelines here. Making it happen is do-able! Craft projects and children do go hand-in-hand. Whether a toddler or teenager. Think of all the creative characteristics you can help instil in your kids as they create. They can learn design skills, patience in coping, role playing using doll houses as the teaching tool, keeping the doll house clean and orderly... Actually the last one will help us as moms. When our kids learn the value of taking care of theirs and others belongings everyone benefits. It is never too soon to teach children solid values. Yes even as they learn any crafting technique. For more information regarding helpful ideas and your child... Check out this article on Chores for Kids by Sally Huss of HappyChilrensBooks.com. Take a Look at our First Effort in Dollhouse Creation. Top Left Picture: DollsHouse 1st Floor featuring Kitchen, Entry and Library / Study area. Bottom Left Picture: DollsHouse Creation Steps - Putting the final details in place. Top Right Picture: DollsHouse Master Bedroom featuring tiny details such as closet with wooden hangers. Bottom Right Picture: DollsHouse 2nd Floor featuring Child's Bedroom and large Family Living Room. All of the furniture items were hand painted by a Tole Paint Method to achieve the desired results with no working parts. Many miniatures do actually have working parts. Ours, pictured here, however, do not. We do have plans to fashion captivating ones in the near future. So, as a community, let's all share each other's enthusiasm for Doll Houses today. Design a Royal Wedding Display - Gather your supplies and ideas to participate in a Royal Wedding Dollhouse Display. What would you create with the items on this page? What would it look like? Begin by studying choice products available online. Progress from there to your most intriguing mini of all time. Shrink your Favorite Magazine - Whether you are shrinking it because you just gotta have it for Barbie or whomever... We know you will gain from learning how to design. All roads lead to more knowledge. 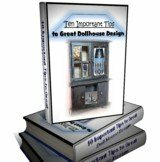 Dream Kitchen Project - If you are wanting a dollhouse kitchen check out this page. 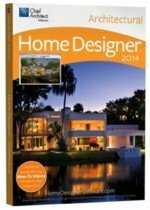 It contains many creative ideas to incorporate into your tiny dwelling. Don't forget however that doing this project could lead to some great realistic renovation in real life. Keep your eyes and ears open to your own suggestions. It could pay off. Come visit our Secondary Suite in Mini - We had to do something with this area of our home. Might as well shrink it while we decide how to deal with it. Come on over and design along with us. All are welcome. Projects or Techniques are always an On-Going Topic - That's right The Minis Zine always has craft ideas or techniques in every issue. Join in the fun. It is easy to get involved. Simply fill out the subscribe form on this page. Any areas I have not mentioned? Continue my list with me. Join in and share what material you are currently working in. 500h x 400w pixel size each.